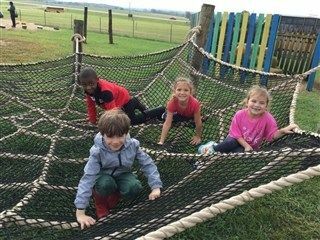 After using apples in science, math and language arts lessons, kindergarten students took a field trip to the Louisville Cider Mill on Thursday, October 5. They had lots of fun experiencing nature as their classroom. 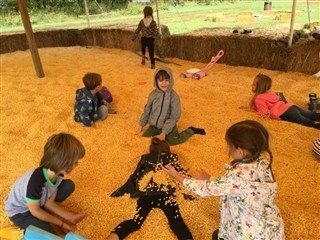 The field trip included lots of active exploration in the corn pit, on the playgrounds, during a wagon ride and decorating pumpkins with parents and teachers. Students watched the cider-making process up close, an extension of their science lesson about the properties of solids and liquids. For the past few weeks, they have studied everything about apples: what they weigh, whether they float or sink in water and how to weigh and measure them and count the pieces after they’ve been sliced. 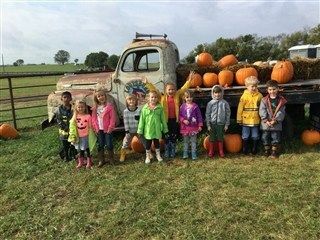 They read books about apples, visited the Barstow orchard to see how they grow and even turned apples into applesauce in their classrooms. They finished the trip with delicious apple cider and apple cider donuts. 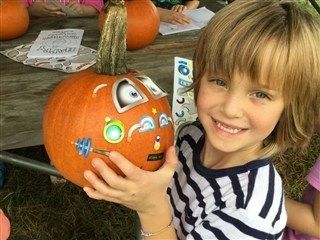 What a fun way to apply those lessons with a hands-on, outdoor experience.